Cold heading and boltmaker die assembly and rebuilds. 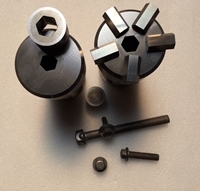 Custom carbide, ceramic and steel tooling. Form grinding, flat, cylindrical and optical. Abrasive flow polishing, machining and deburring.